Vietnamese tech giant FPT and Singaporean ride-hailing firm Grab will work together on smart city solutions, AI and smart payments. The two companies signed a strategic partnership agreement to this effect Friday. Specifically, they will cooperate on piloting a traffic signal monitoring system in Ho Chi Minh City. FPT will provide the traffic light monitoring software, while Grab will provide data and traffic analysis from its ecosystem. Based on data transferred from GrabCar and GrabBike vehicles, the two sides will jointly develop a real-time traffic monitoring portal to be used in several major cities. 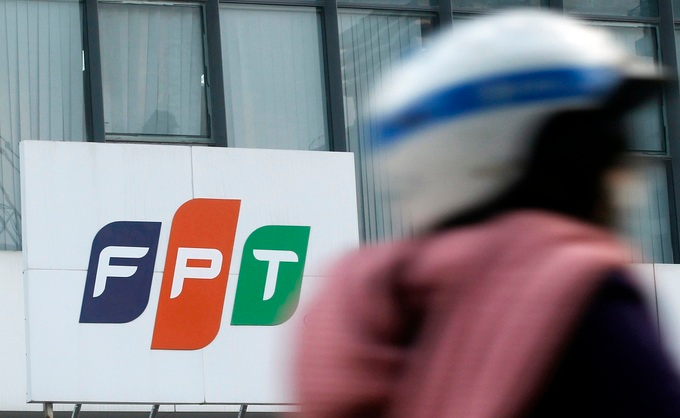 Grab and FPT also plan to develop electric vehicle charging stations in Vietnam and explore multimodal transport solutions that can integrate FPT's digital public transport schedule with Grab’s network. "We hope the application of 4.0 technology by the partnership will bring new experiences and conveniences to the Vietnamese people. The two sides will share data and solutions to solve traffic challenges in big cities," said Le Hong Viet, technology director of FPT. Jerry Lim, Grab Vietnam director, said that with available traffic data, analysis capacity and experience of public transport in Vietnam and Southeast Asian countries, Grab will work closely with FPT to develop smart city solutions, thereby making commuting easier, more convenient and safer for Vietnamese people. FPT has also committed to integrate the GrabPay by Moca e-wallet platform into its e-payment ecosystem in 2019, while Grab will cooperate with its international financial partners to provide suitable financial services to Vietnamese users. Grab’s loyalty programme, called GrabRewards, will also be available across FPT’s network. Users will be able to accumulate points by purchasing FPT products. Grab and FPT will also develop AI technologies in areas such as facial recognition, authentication and real-time communication in order to increase safety and security for drivers, passengers and business partners. FPT is currently the first and only enterprise in Vietnam to own a comprehensive artificial intelligence platform - FPT.AI. This platform allows programmers to create interactive language interfaces, such as chatbots, which help with customer engagement; voice recognition used in automatic switchboards; and image recognition used for processing ID documents along with face recognition. FPT is the largest information technology service group in Vietnam with its core business focusing on the provision of IT-related services. Grab, a Singaporean transport network company, provides ride-hailing services in Singapore, Malaysia, Indonesia, the Philippines, Vietnam, Thailand, Myanmar, and Cambodia. It is Southeast Asia’s first "decacorn", a startup with a valuation of over $10 billion.